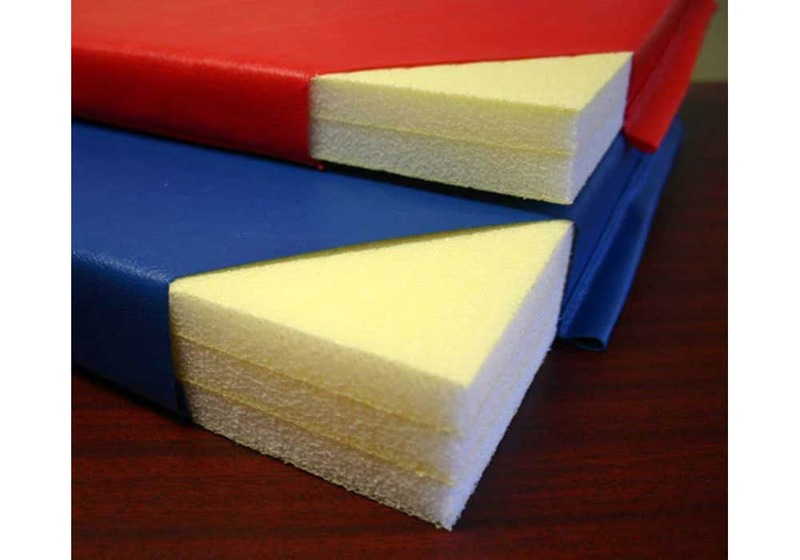 Core made of crosslink polyethylene foam. Hook & Loop (like Velcro) fastener on short ends to join product end-to-end. Specially designed for high-impact activities and advanced floor tumbling. 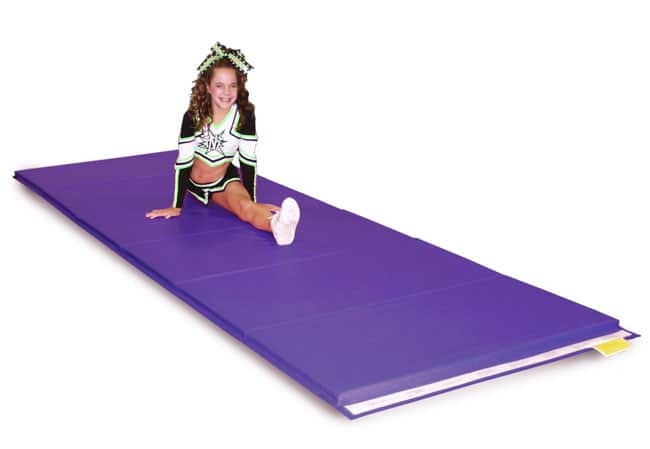 Some of the many uses include general physical education, martial arts, wall padding, cheerleading, tumbling, and just about any exercise activity that requires a mat. Puncture and tear resistant. 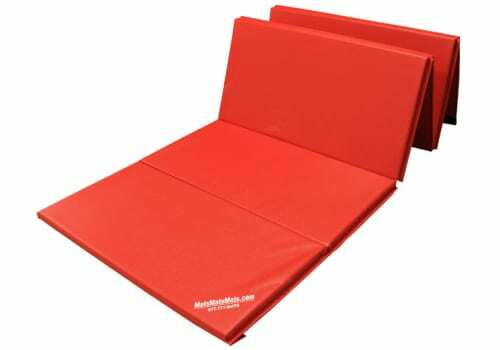 These folding mats are covered with extra heavy duty 18 oz. double coated vinyl fabric. This mat will no doubt put a smile on any young gymnast's face and give them that extra motivation they need to practice at home or at the gym. 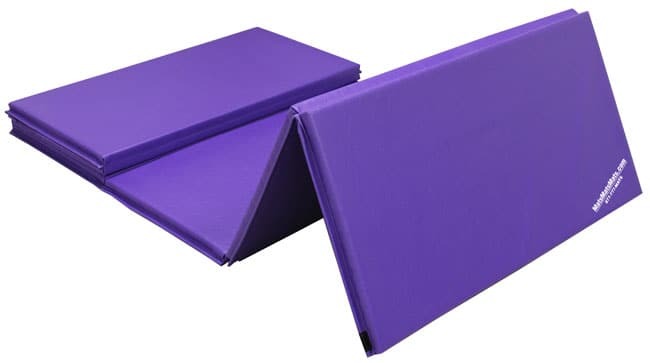 Our folding gymnastics mats are specially designed for high-impact activities and advanced floor tumbling such as: gymnastics, cheerleading, tumbling, general physical education, martial arts, wall padding, and just about any exercise activity that requires a mat with firm footing. 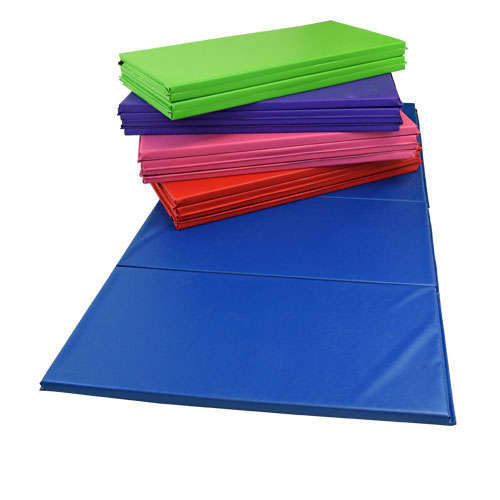 These all-purpose gymnastics and cheer mats can be used over cement or wood flooring to provide significant floor protection. 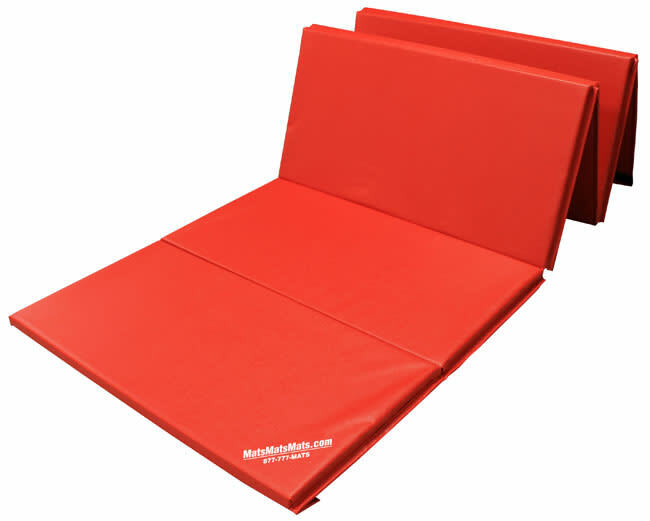 Our mats are designed to be especially durable. The best puncture and tear resistance, stitch strength, and abrasion resistance in a fabric covered mat is accomplished by combining heavy vinyl, high weave count polyester, and top coat fusing. 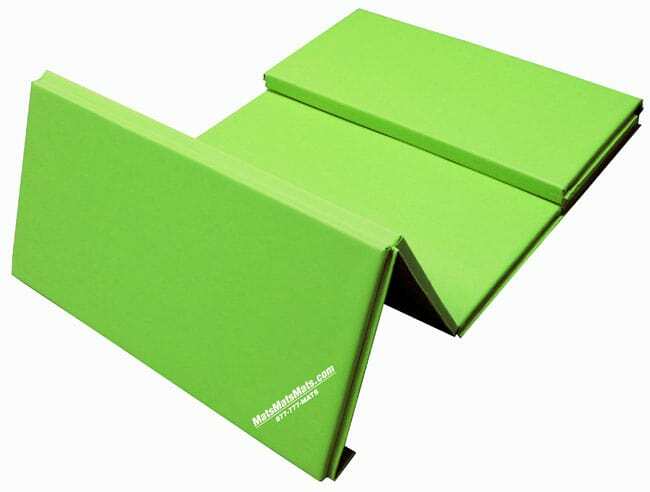 These folding tumbling mats are covered with extra heavy duty 18 oz. 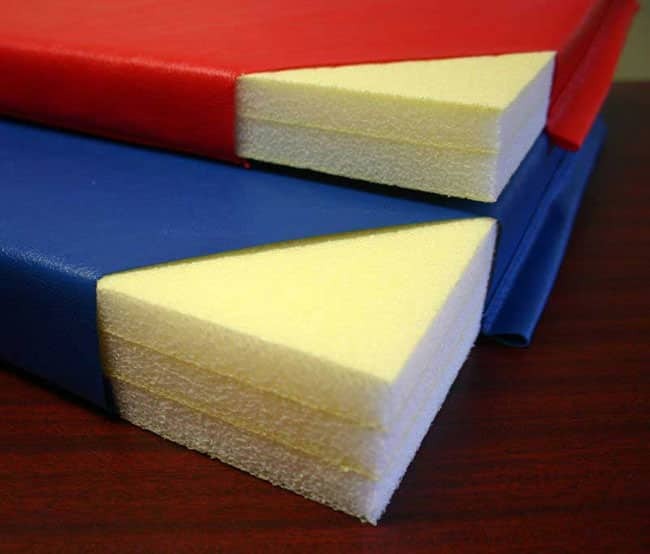 double coated vinyl fabric (more durable than the 14 oz. vinyl sold by many competitors). In addition, they can be easily stacked and stored by folding them into two-foot widths. 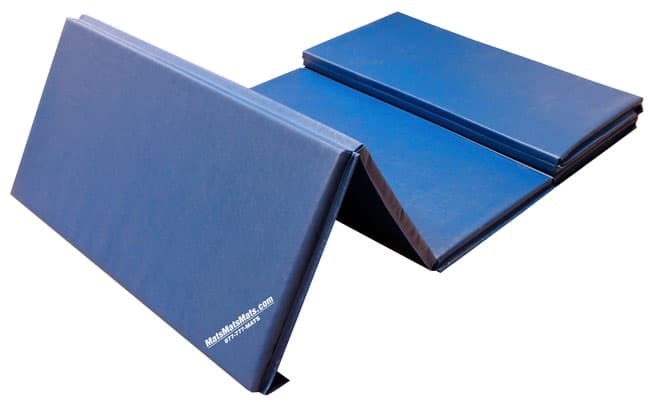 This gymnastics mat has a firm crosslink foam core with hook & loop (like Velcro) fastener on the short, 4' ends, which allows you to join two or more panel mats together end-to-end, if a longer tumbling series is needed. 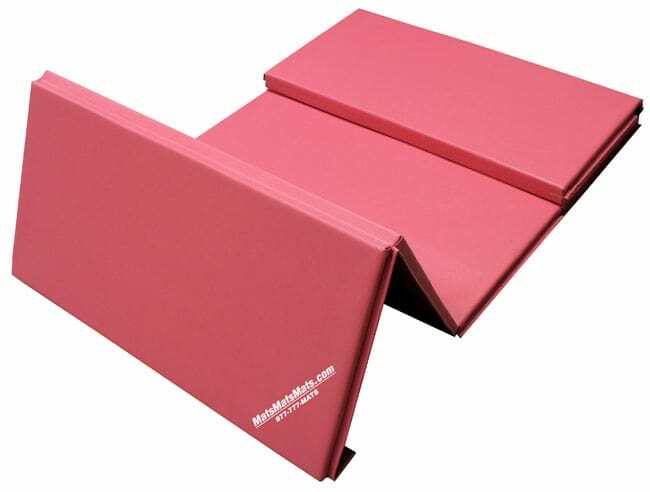 We recommend cross-linked polyethylene foam folding mats for beginning or advanced competitive gymnastics or cheerleading, for exercise, and aerobic activities. 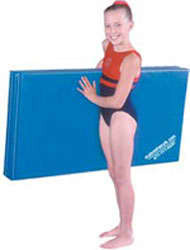 See more extensive selection of firm gymnastic or cheer mats! See our SoftPlay soft tumbling mats (in-stock or made-to-order)! Use indoors or out - even on textured surfaces.